Awesome stuff! “Minimize Teacher Talk” is a mantra I have been hearing since I began my teaching career. Perhaps this was a prehistoric version of the flipped classroom model? In any case, I have found that maximising student talk = maximising student engagement. Students are interested in each other and what they have to say. Do you think you could extend this student-student interaction to their writing? Could seeing 20 models of writing “at their level” (+/-) that they offer feedback on be beneficial? I like this idea. 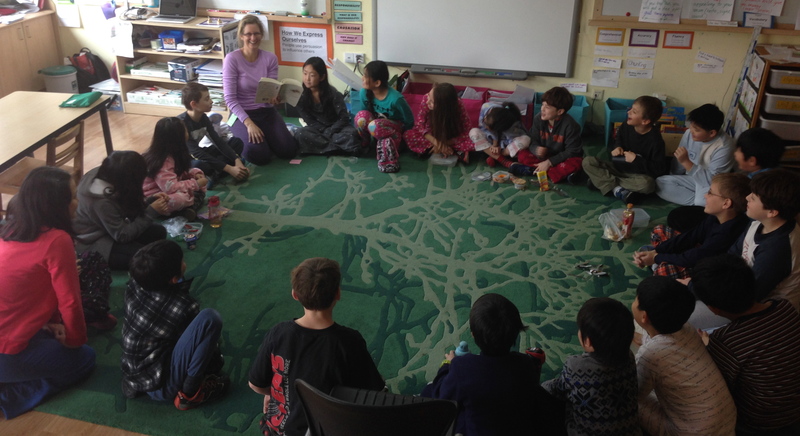 I am imagining one student reading their piece of writing and the rest of us, sitting in a circle, reacting to it, discussing it with each other as the author listens. What great feedback for the writer.